Cooler Repair, Winter Haven, FL | Johnson's Mechanical Inc. Cooler Repair, Winter Haven, FL | Johnson's Mechanical Inc. When you need cooler repair in Winter Haven, the only team you should rely on is ours at Johnson’s Mechanical Inc. When you have products that are temperature-sensitive, you always want to make sure you have coolers that will do the job. If your coolers suddenly won’t keep the proper temperature, or you are constantly adjusting the temperature to resolve the problem, it may be time for professional help. 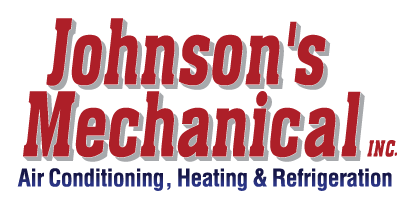 At Johnson’s Mechanical Inc., we’ve been assisting our customers in Winter Haven, Florida with their heating and cooling needs since 1982, and we are equipped to help you get your coolers back to their optimal temperature. Our professionals will work to ensure your products are safe and temperature-regulated like they should be. When you call us for cooler repair, you’ll find that we provide professional and honest service that won’t leave you guessing about the quality of our work. We believe in the integrity of our workmanship and add a personal touch to all our service calls to let you know we care and to make sure you get the services you need without additional sales pressure. We also know that if you need cooler repair, you probably can’t wait around days or weeks for the next available appointment with another company. We’ll come out to troubleshoot the problem as soon as possible, so you can use your coolers again worry-free. You are our valued customer, and we’ll always be ready to assist you whether it’s your first call or you’ve been working with us for years. When you need cooler repair in Winter Haven, the only team you should rely on is ours at Johnson’s Mechanical Inc.